The Morecambe beach, which boasts panoramic views of the mountains and open sea is just yards away, and this is an ideal base for touriing the Lake District, the Yorkshire Dales and other areas of natural beauty. 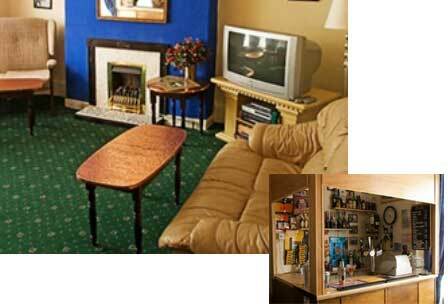 Tea/coffee making facilities, TV, and hairdryers in rooms. 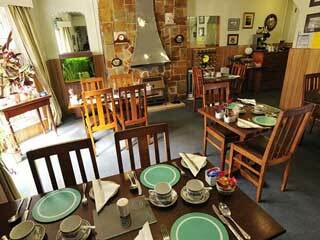 Enjoy a menu of substantial quality meals in our attractive, bright and spacious dining room. We use locally produced vegetables and meat and are happy to claim that all our main meals contain mostly locally produced ingredients, with organic ingredients being used whenever possible. A wide range of lagers, bitters, spirits and fine wines are all served in a cosy, friendly atmosphere in our bar lounge. This comfortable Morecambe guest house is only one hour from Blackpool Pleasure Beach & famous illuminations and only 5 miles from the historic city of Lancaster. 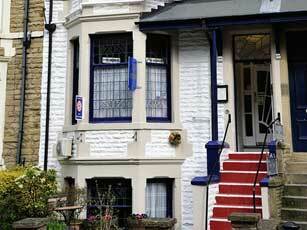 The seafront and the town centre are a short walk away. The ideal place for walking, golfing, fishing, cycling and quiet, comfortable and relaxing breaks in a beautiful setting. 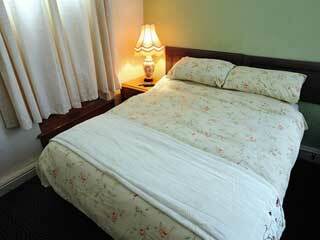 "Hotel very tastefully decorated, and well-maintained. Gorgeous stained glass windows. Better than I was expecting for the cost... felt quite luxurious. Fantastic breakfast and comfortable environment (I was travelling as a single female). Very friendly staff, courteous and welcoming. Good location for shops, market etc --all within easy walking distance --definitely the best location/area of Morecambe to stay in. Would highly recommend, and would definitely stay there again. "